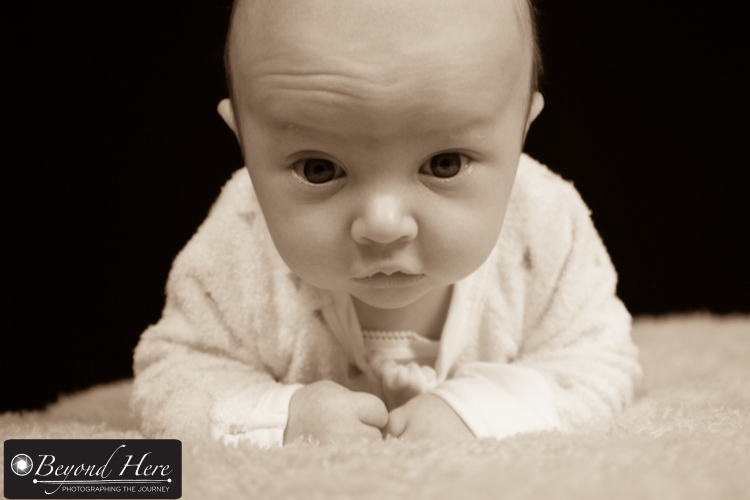 Newborn Photography some easy but essential tips is a guest post from Renate Hechter. 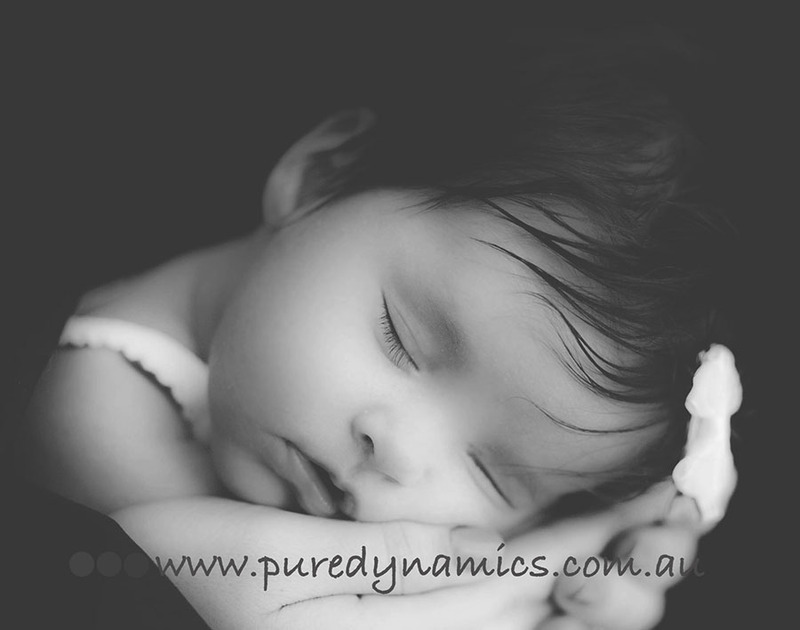 Renate is the owner and operator of Pure Dynamics Photography in Sydney, Australia. You can find out more about Renate and Pure Dynamics Photography on the Beyond Here contributors page. 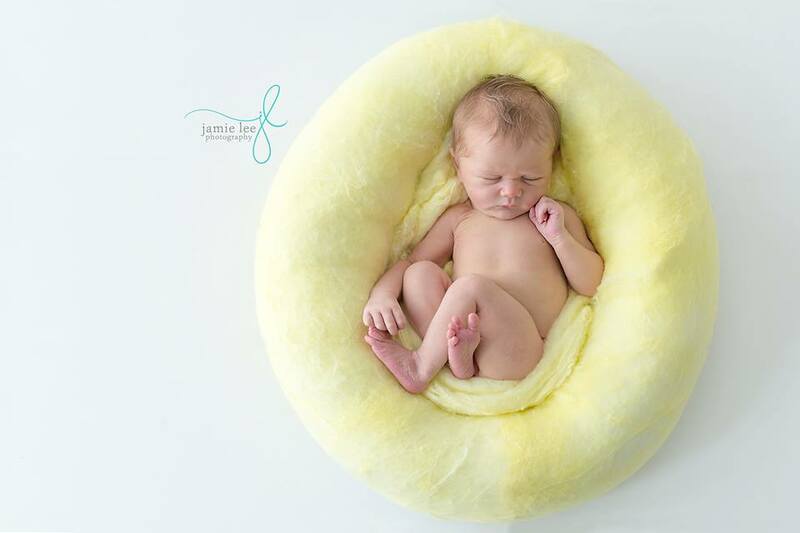 Newborn photography some easy, but essential tips. Thank you Craig for the opportunity to write a guest post on Beyond Here. 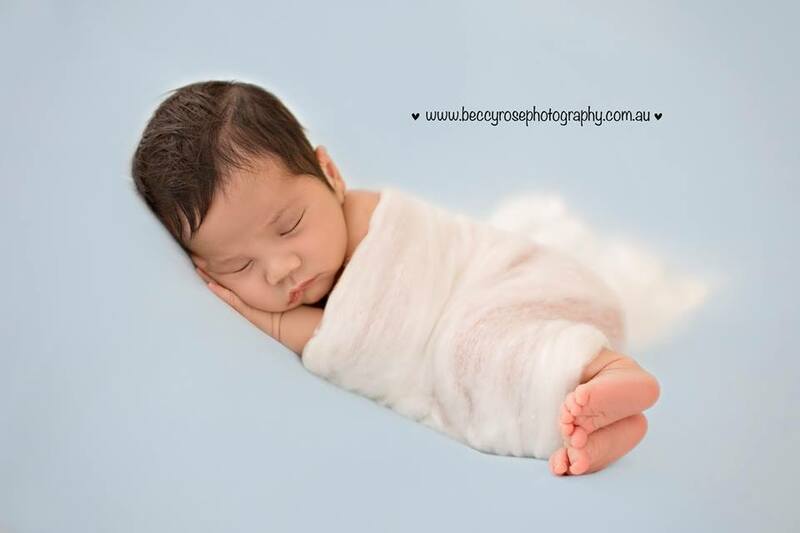 I am a family photographer, but love newborn photography best of all. It is such a privilege to be able to capture those early moments in the first few weeks of a baby’s life. It will be a keep-safe for the family and the baby in years to come. When I tell people I do newborn photography, I often hear them gasp, “Wow – how long did it take to get that shot, must have been hours? You must be some sort of baby whisperer!”. Of course I’m not! It may have helped that I have 4 small children and therefore have had to deal with 4 newborns at some point. Rather like dealing with your own family, newborn photography is all about planning and preparation. Here are some easy, but essential tips that you can follow if you want to capture the first few weeks of a precious little one’s life. Safety, safety SAFETY!! You will need a baby spotter and mum usually works best. They need to be clearly briefed as to their responsibility – they are to watch their baby and preferably keep a hand on baby at all times before the shot – looking out for hazards such as rolling off the baby posing beanbag. Really stress to the parents that baby is fed and burped before arriving and is coming to see you in their normal sleep time. You may want to get the family to arrive slightly early for their session, so mum have the opportunity to give baby a quick feed again, if necessary. Make sure where you take you photographs are toasty warm so the baby does not get cold – especially if you are taking pictures of naked or semi-clad babies. Turn the heating up to around 25 degrees C or use a directional heater. 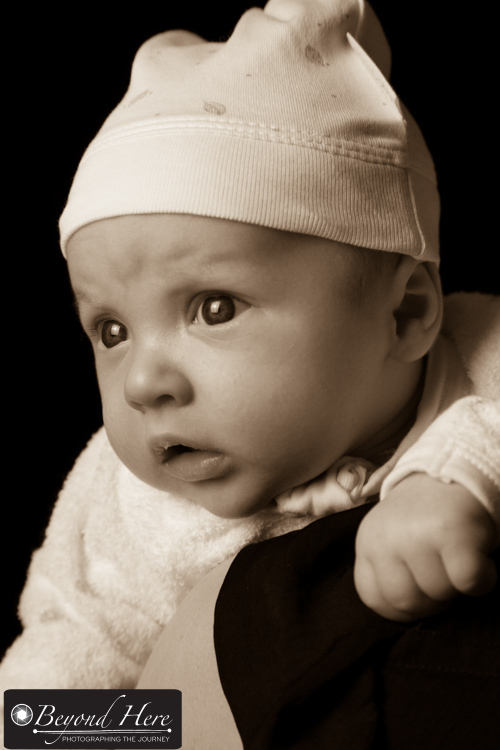 If using a directional heater, make sure you keep it far enough away from the baby’s sensitive skin. Invest in a number of stretchy baby wraps. They can be used successfully for babies who struggle to be settled straight away. Shoot your swaddling poses first if that’s the case. There are a number of smartphone and computer apps that you can download for white noise – turn up the volume – that is very effective for baby, and I find that it also relaxes the adults. Relaxed parents mean a relaxed baby. Have a dummy/soother ready and make sure you communicate this with the parents beforehand. Some parents have dummy fear, but using a dummy to settle baby in the pose and then taking it out just before you take the shot works well. 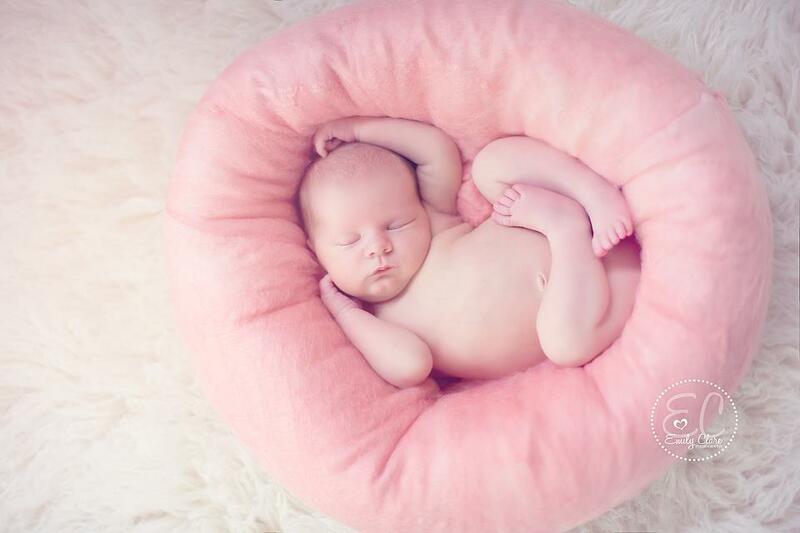 Almost miraculously, a lot of baby poses are in tummy or side-lying position. Babies do love those positions and will often settle and fall asleep. Keep a firm hand on baby in those positions, as that will aid them falling asleep. Add a good dose of patience into the mix. 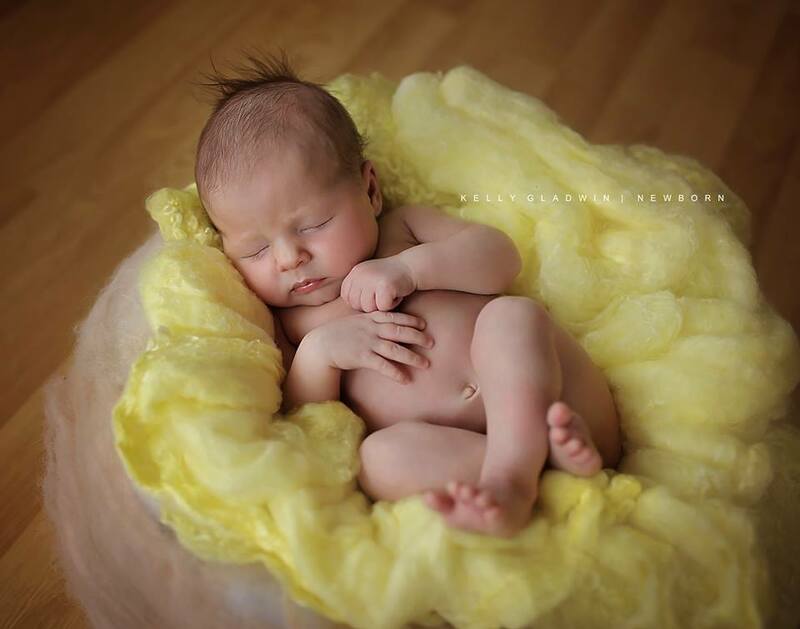 The newborn should be fast asleep when you attempt your poses, and that may not happen immediately. Explain the process to the mum. A calm and relaxed mum often means a calm baby. 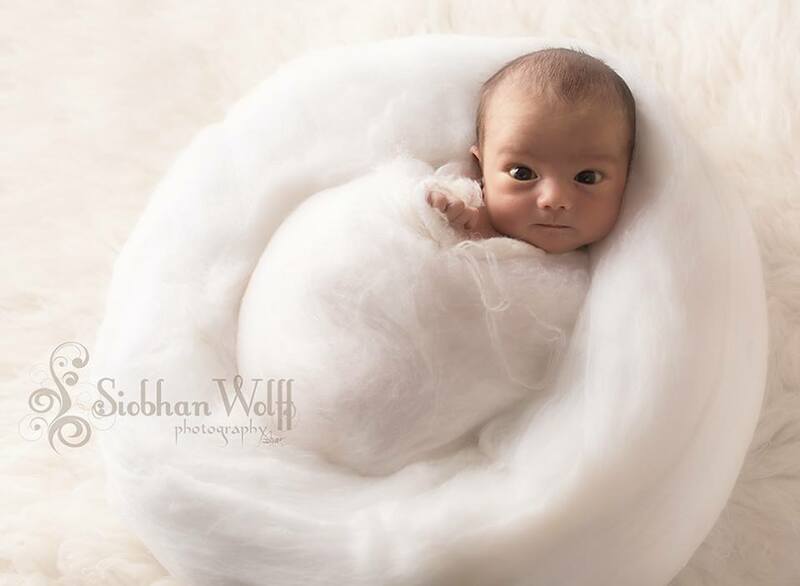 The best time to photograph newborn are between day 5 and 20. During this time period, they tend to sleep a lot (especially if they are fed well). Your can also get them into those wonderfully squishy positions. And last, but not least – Safety again! So important, it’s worth mentioning twice. Do not forget to enjoy your session! 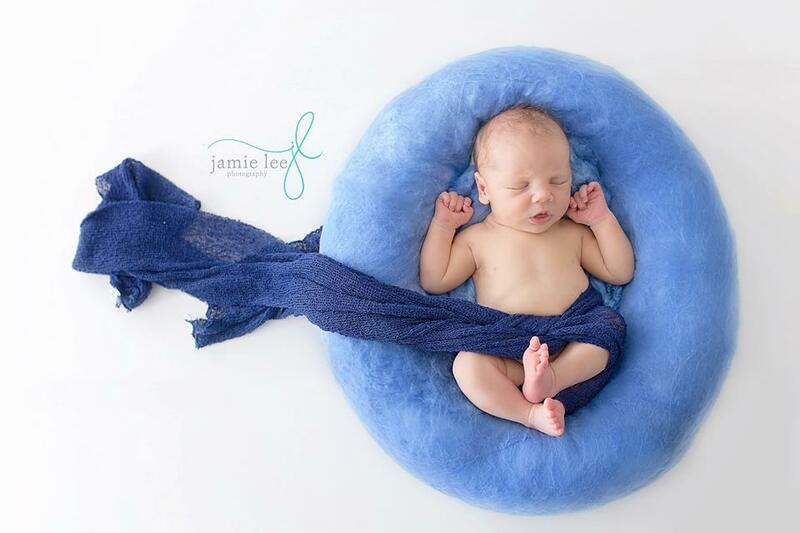 This entry was posted in Guest Posts, Photography Tips, Portraits and tagged baby photography, family photography, newborn, newborn photography, photography, photography tips, studio photography on July 7, 2014 by Craig Dingle.